Colin Firth in the firth-t Kingsman. 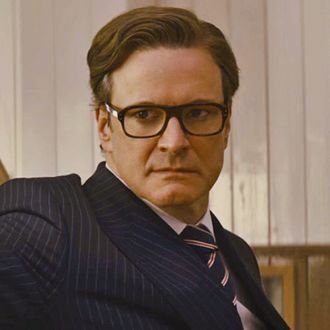 Colin Firth was just one of many people to die a gruesome death in last year’s Kingsman: The Secret Service … or so it seemed. Back in April, star Taron Egerton hinted that Firth would return for the upcoming sequel Kingsman: The Golden Circle, and now it appears he’s back from the dead indubitably, thanks to an Instagram post from Pedro Pascal, his partner in brutal onscreen death, that showed the pair on set. Taron Egerton can officially add “not a liar” to his list of impressive skills.